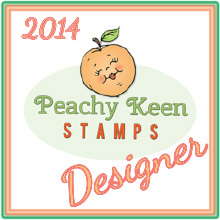 Here's my card for the Unity Stamps Kit of the Month Challenge. The stamp is from this month's KOTM and works perfectly with the challenge sketch. 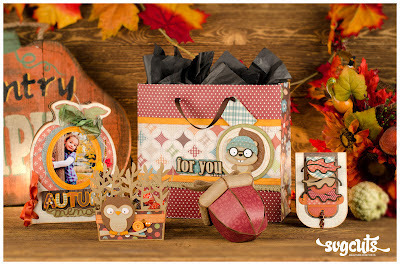 The pattern paper is from Echo Parks Fall Fever mini theme collection, I absolutely love it, the wood looks so real and the colors of the other papers are gorgeous!! 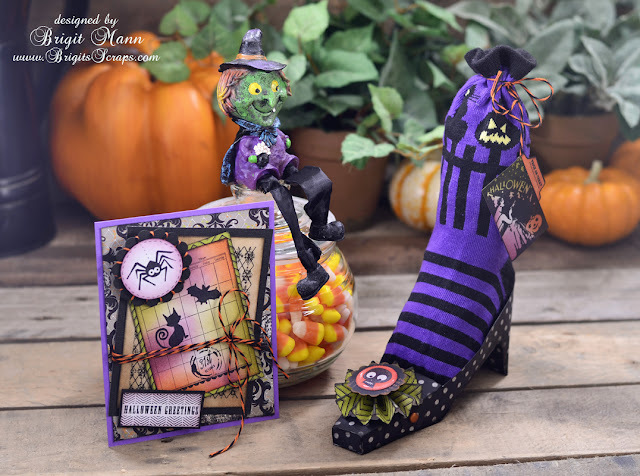 I picked up a pair of Halloween socks to see how it would look in the witches shoe from SVG Cuts kit Toile and Trouble. I stuffed the sock with raffia and it fits very nicely in the shoe. For the card I used my Unity Stamps and Echo Park's Chillingsworth Manor digital paper. 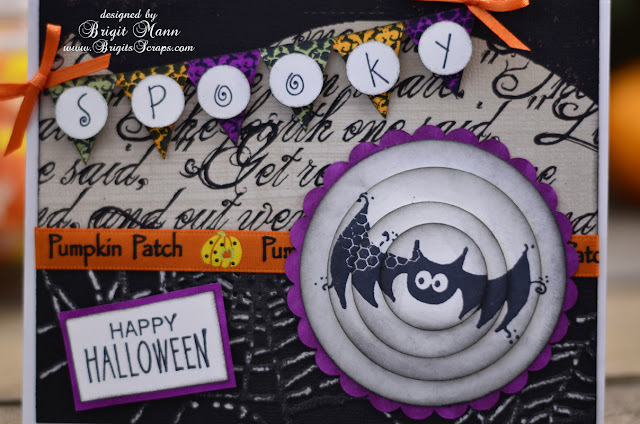 The tag and embellishment on the rosette are also from Unity and the twine is Orange Licorice Trendy Twine from Annie's Paper Boutique. 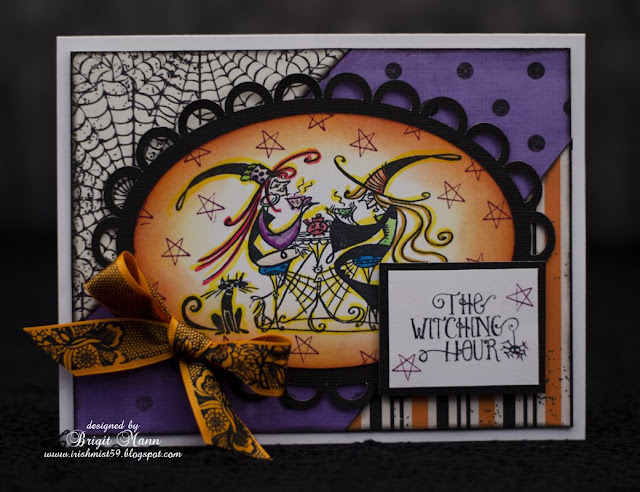 Witches shoe was cut out using my Sizzix Eclips and eCal software. I added this to the linky party over at Craft-O-Maniac, stop on over and see all the other wonderful entries. 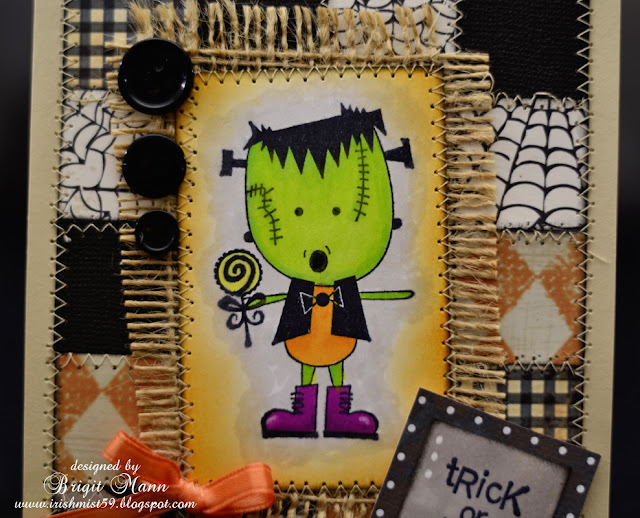 Here is my card for the September Unity Stamps KOTM Challenge, info about the challenge is HERE. 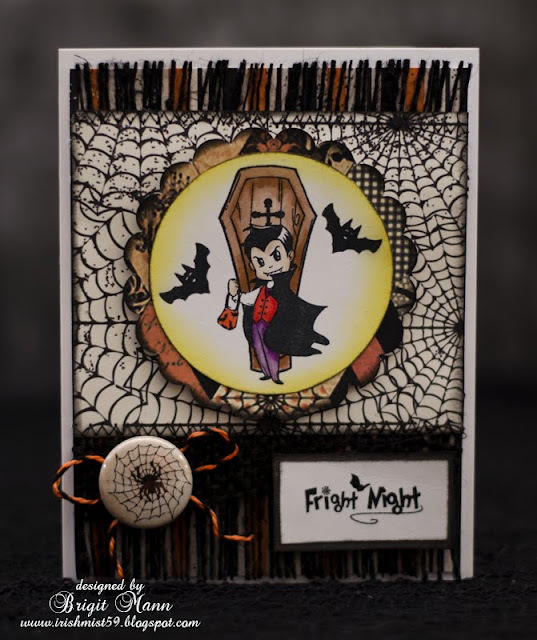 I used the pennant from Fright Night, the bat is from the August KOTM and the Happy Halloween is from To Cute To Spook set. I stamped the bat 4 times and then punched him out with a 2.5', 2', 1.5' and 1" punches and layered them for that 3D look. 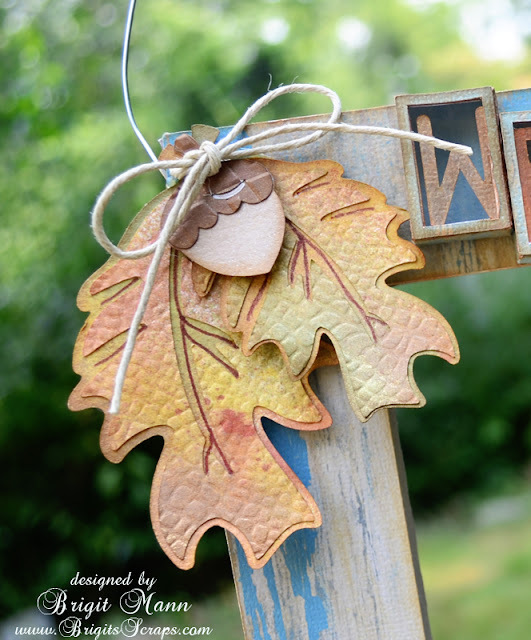 Here is my Design Team project for SVG Cuts, a Fall Window Wall Hanging. 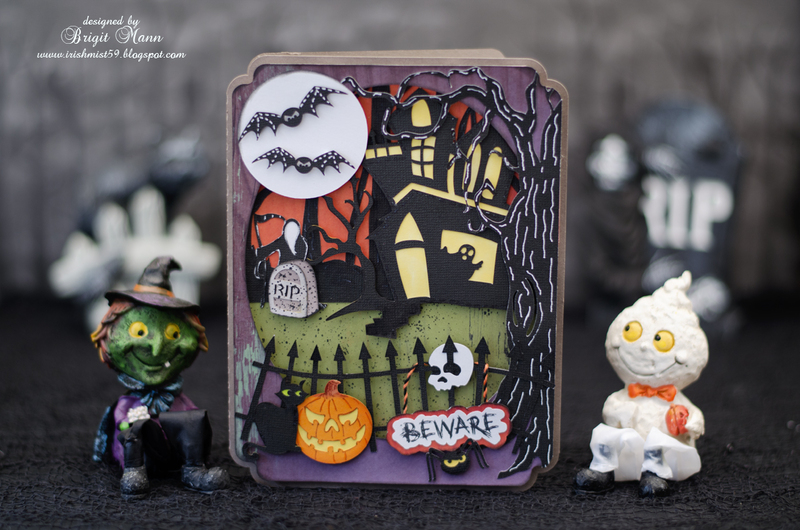 I really love how this came out and it can be adapted for other holidays or seasons as well. Swap out the scarecrow for a ghost or witch and some black flowers for Halloween or Santa and poinsettias for Christmas, so many possibilities. 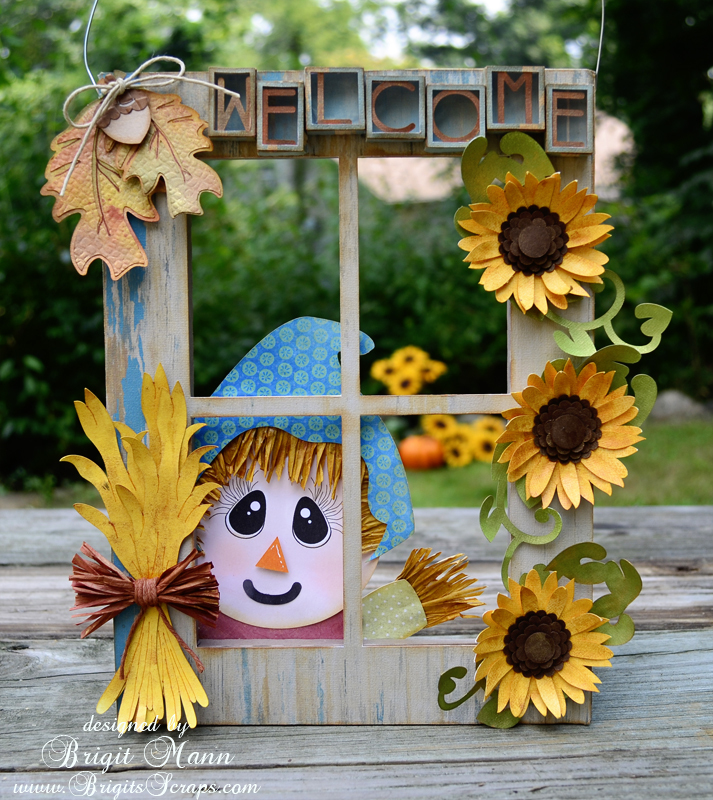 I used the crate from the Caramel Apple Pie kit for the window frame and just made a top to fit over the boards to cover the seams and create the window panes. For the eyes I did a print 2 cut in eCals with my Eclips, you can get the svg file here and it's also with the directions on svg cuts blog. 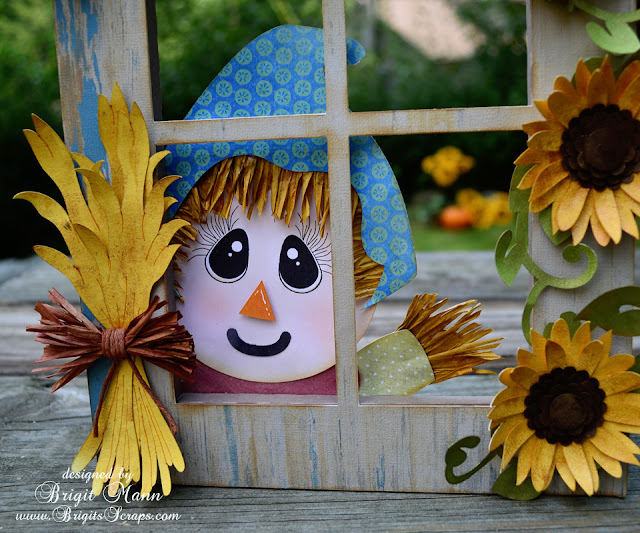 I used raffia for the scarecrows hair and hands, just fringed it with scissors. That's raffia also on the cornstalk, which is a freebie. 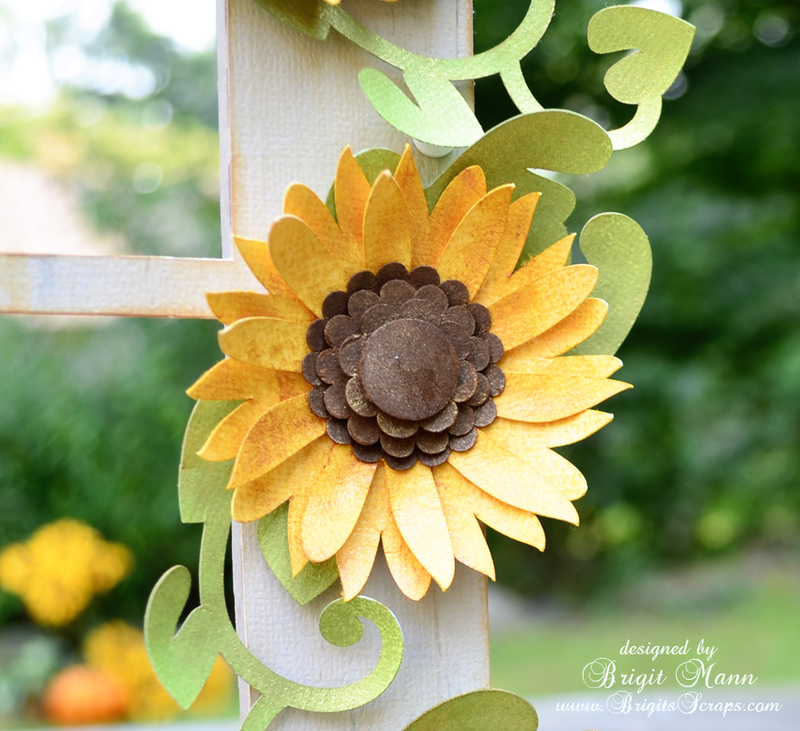 Embossing the leaves gives them some nice texture, I used the leather texture plate from Fiskar's assortment pack. Love these boxed letters from Ryan's Play Date, they added the perfect dimension to the frame. 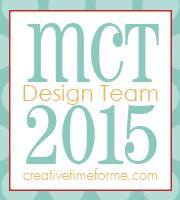 I used glimmer mist throughout this whole project to give it a nice shimmer. 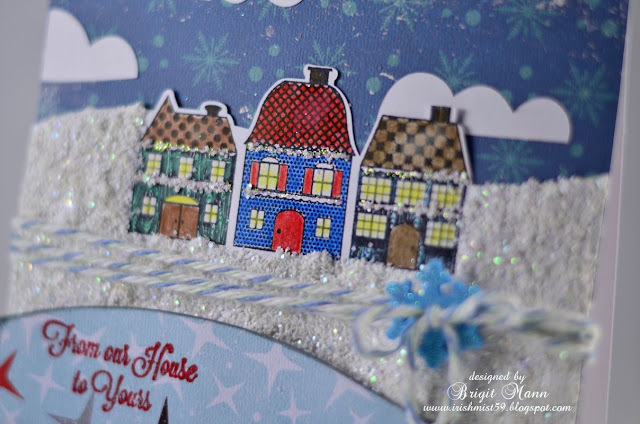 Well I hope you enjoyed this project and if you do make it please leave a link to your blog or add it to svg cuts facebook page, I would love to see it!! 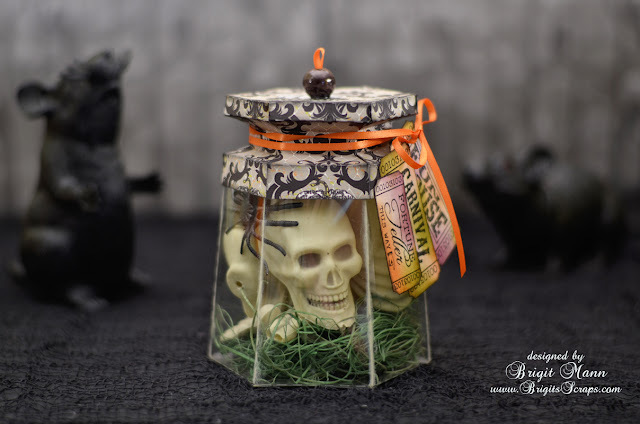 I seen this cool skeleton in a jar on Pinterest and thought the Apothecary jar from SVG Cuts kit Toil and Trouble would be perfect. 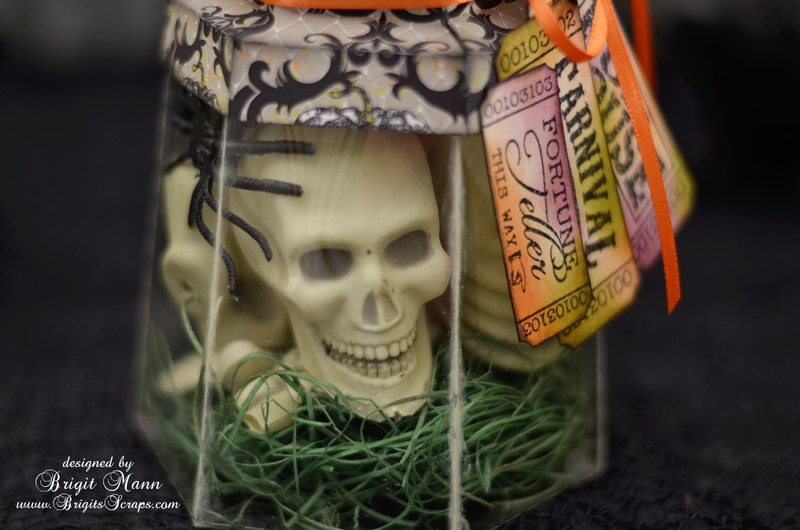 I had a skeleton from the dollar store already so I just cut it up. The tickets are stamps from Unity and paper is from Echo Park's Chillingsworth Manor, the clear is a transparency sheet. Here is the website with the original skeleton in a jar, Inspiring Pretty, check it out there are other great Halloween decorations over there!! 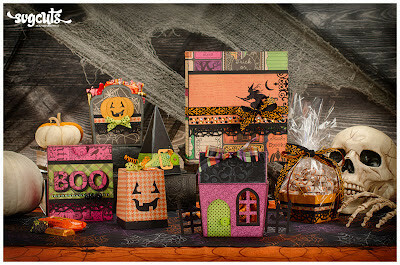 Remember this kit is free this week with a $9.98 purchase, it's a $6.99 value, what a great deal! 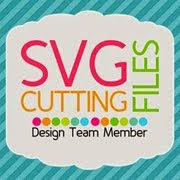 SVG Cuts posts a freebie design file every week, if you haven't seen them you can check them out here . 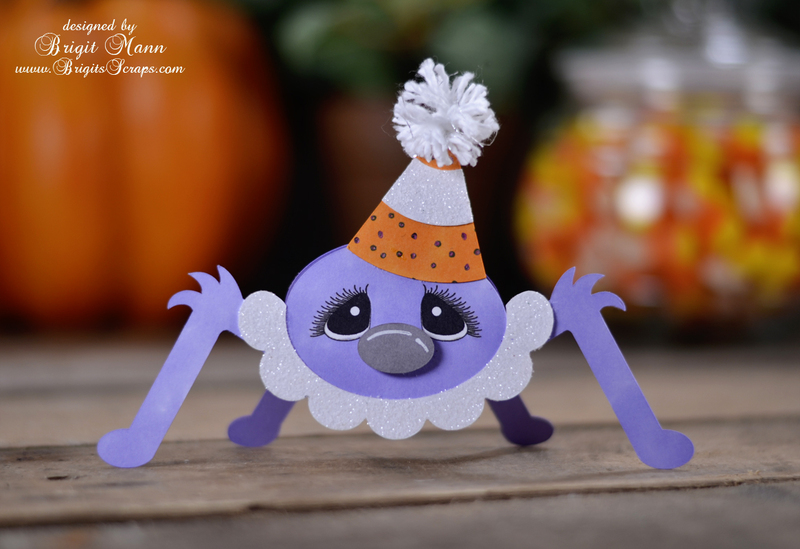 This weeks freebie is this adorable spider, I created a card out of him. I made two copies in eCals cut off the front legs on one and the back legs on the other, and flipped and welded them together. I did a print and cut for the eyes, I do have some for download on my blog under eyes. I think it would be cute as place cards for a Birthday or Halloween party. Here is the gatefold card from SVG Cuts new kit Toil and Trouble, it's such a classy looking Halloween card I think, the whole kit has that kind of look to it. I really didn't change it too much, just added the ribbon and buttons and used the leaves a little differently. The digital paper is Echo Park's Chillingsworth Manor and the stamped sentiment is from Punkin Patch Stamps Trick or Treat set, which are still 50% off. 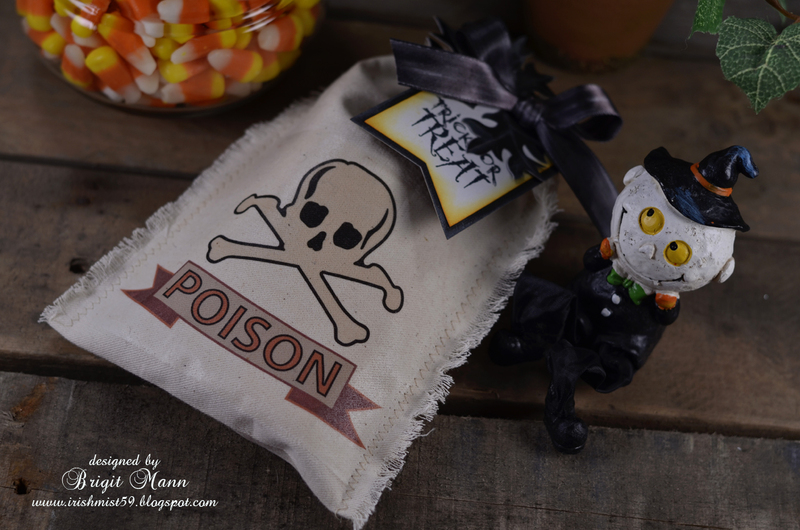 A couple people wanted to know how to make the goodie bags, these are very easy, if I can do them then you definitely can, LOL! 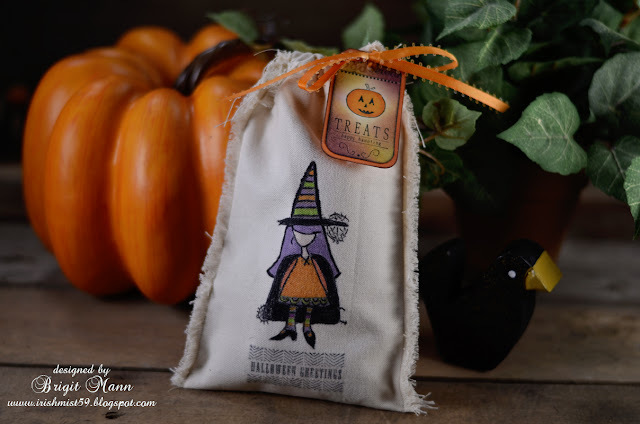 I use a muslin fabric, it has a nice weight to it and it's perfect for these bags, I bought it at Joanns. 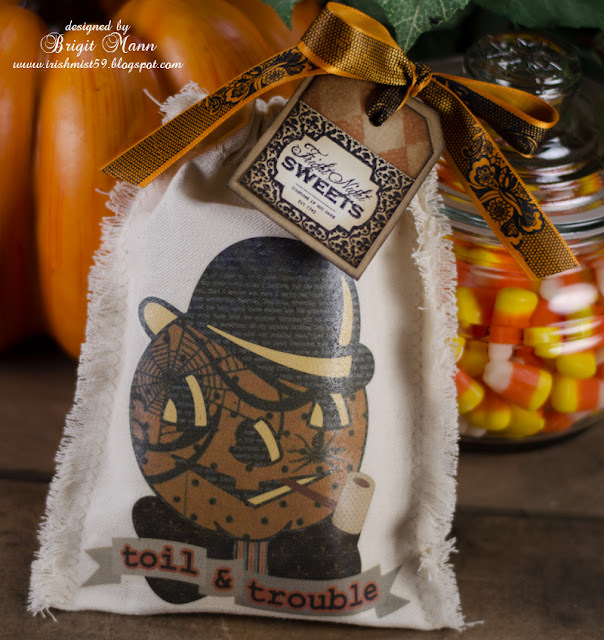 Here is the vintage bag I made using the printable Jaunty Jack from SVG Cuts Midnight Jamboree, and Toil and Trouble kits. Here are the steps to make the bag. 1. Cut the muslin about 15x5.5. 2. On each end of the 15" piece, fold over about 1/2" or more depending on what ribbon you use, sew down the edges. 3. 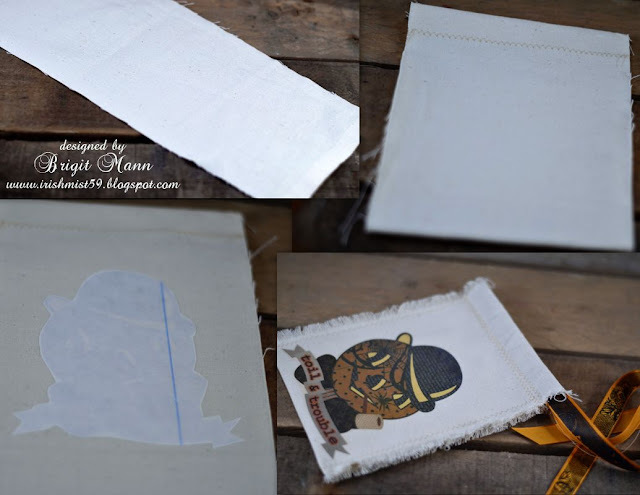 Fold in half and place your transfer down where you want it and iron, I unfold again and lay flat so I don't get a crease in the bag when I'm ironing my transfer down. 4. Sew both sides, do not sew past the top edges where your ribbon will go. Fringe the sides by pulling threads. 5. Push your ribbon through the top, pull and tie. 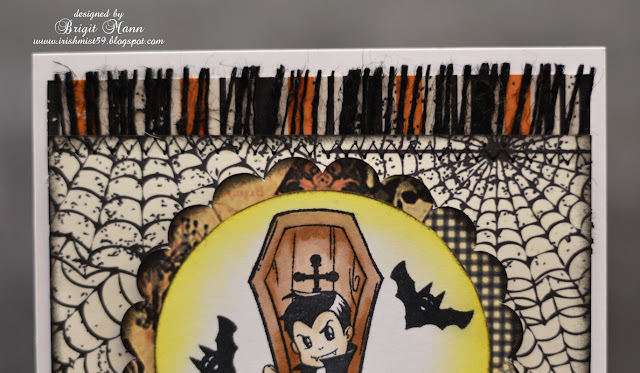 In eCals I changed the colors to patterns on Jaunty Jack and used Echo Park's digital papers Chillingsworth Manor and Apothecary. You really can have a lot of fun with this. 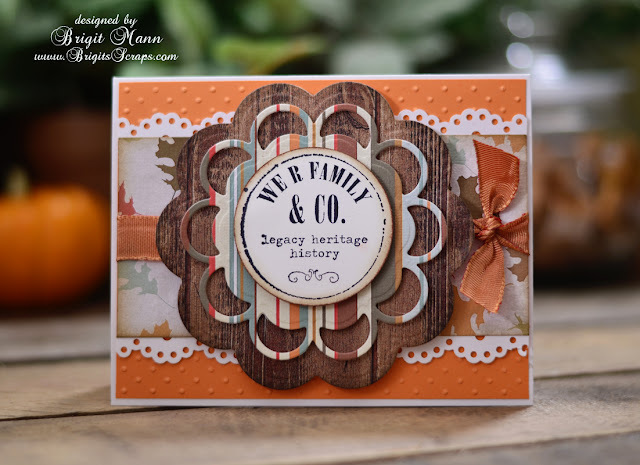 The tag sentiment is from Unity Stamps. Here is my second SVG Cuts Design Team Project a spooky Halloween card. I just love Halloween and making projects for it is just so much fun! I used about seven kits and collections for this card, I just couldn't stop adding things. 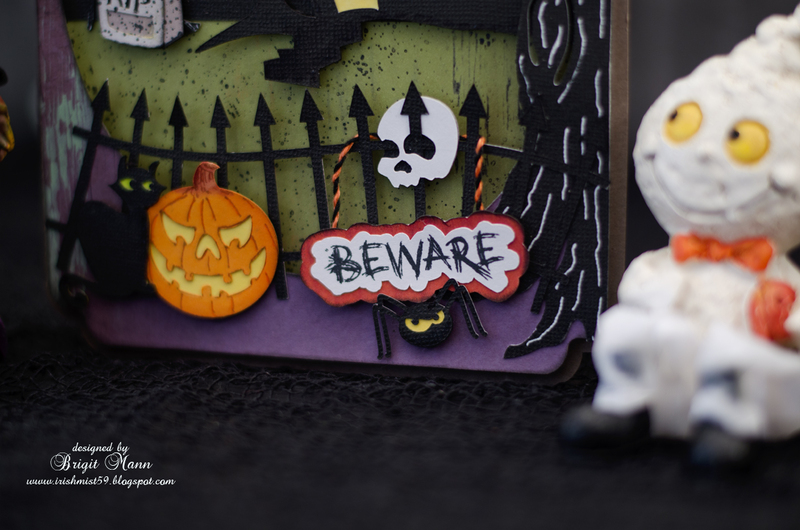 I love the cute little witch and pumpkin ghost, I bought them at the dollar store believe it or not, they're just adorable! I think the fence through the eyes was a nice touch, LOL! 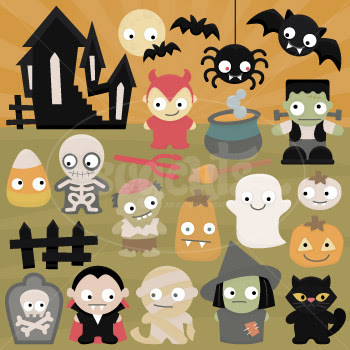 That grim reaper is just spooky! Since taking out my sewing machine I've wanted to make a canvas goodie bag, so when my unity stamps came today I thought it be cool to stamp right on the bag and color it in. I sewed the bag together and then stamped on the canvas. I only had a black fabric marker so I outlined after I colored it in with ProMarkers. The markers bleed some so it would be best to use fabric markers, I'll have to pick up some colors. I like how the stamp looks right on the bag, I could see a bunch of different designs doing this. 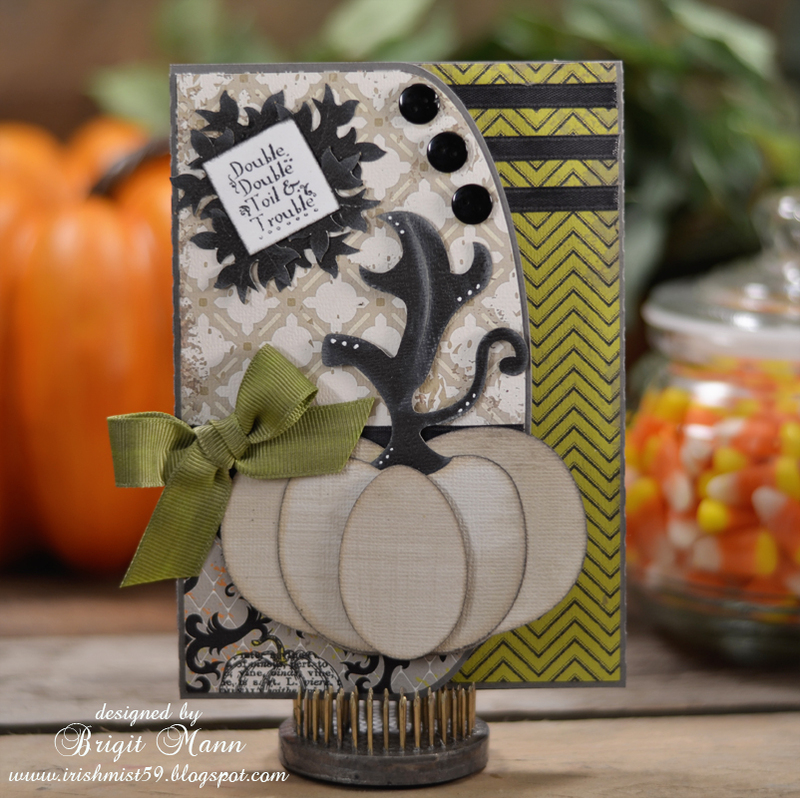 Here is another card using one of Punkin' Patch Stamp Sets, Little Monsters. 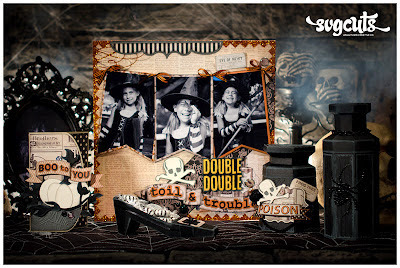 All the Halloween sets are on sale for a limited time, don't miss out, these are awesome sets! 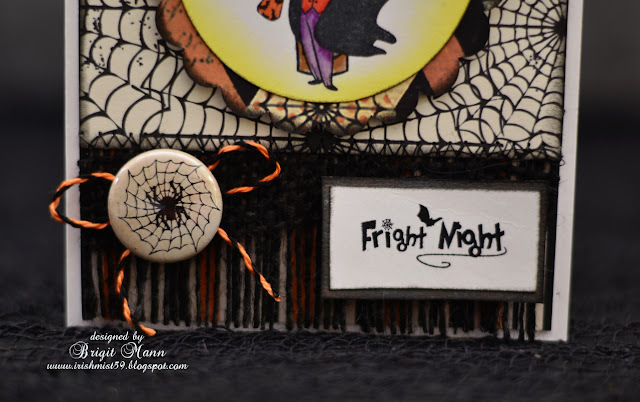 Again I used scraps for this card and I finally took my sewing machine out of the closet and sewed the black burlap and the top layer of cardstock to the bottom, I'm very excited!! I think I may be doing this a lot now. 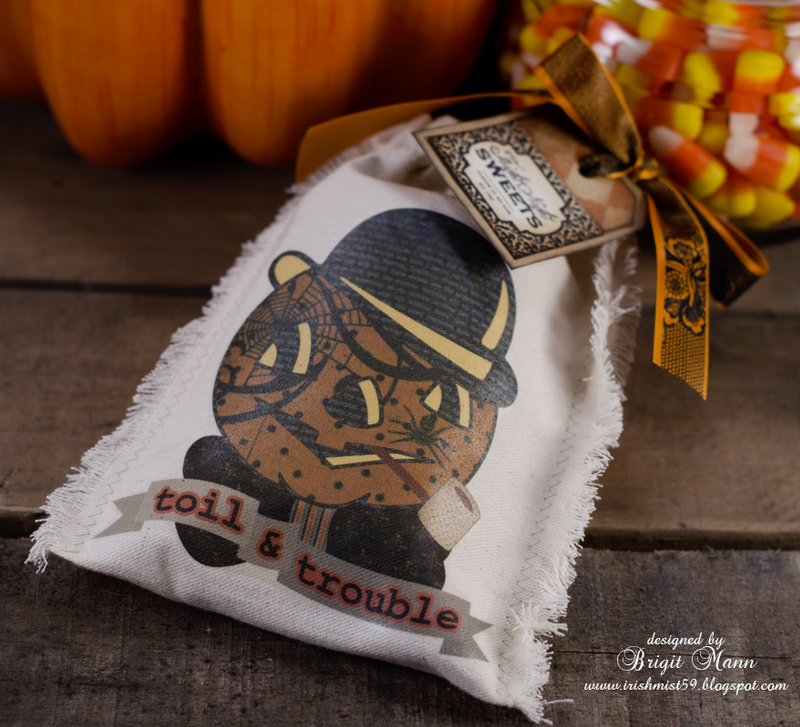 Here is a closer look at my stitching, not perfect but I'm happy, that burlap isn't coming off! 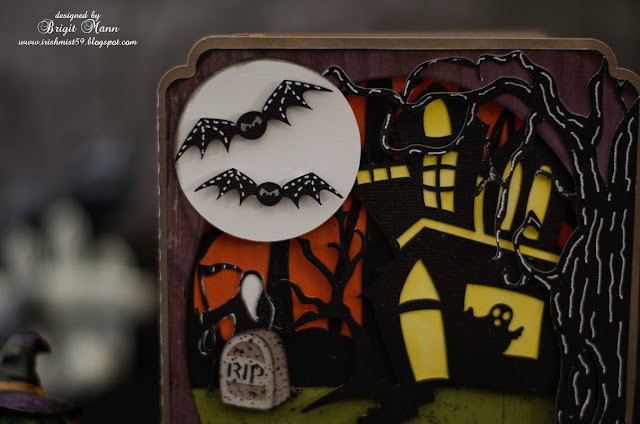 And the cute little flair is from Paper Play Studios go check out all the great flairs that Tamara sells! 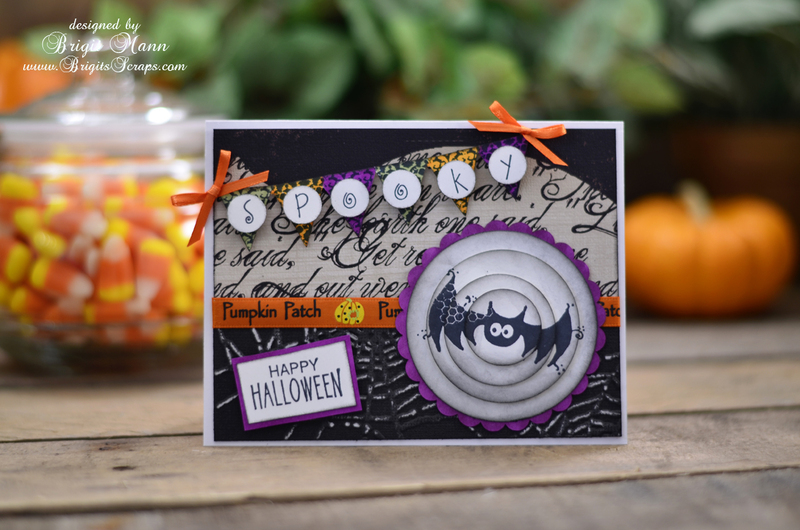 For a limited time Punkin' Patch Halloween Stamps are 50% off, don't miss out!! Here is a quick card made from scraps using some stamps from the Witching Hour set, even the little star! 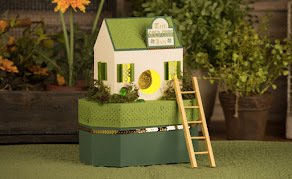 When I first saw the Winter Tortellini & Spinach Soup set from Unity Stamps, I thought of his card right away. The base and cut pieces are from SVG Cuts Merry and Bright kit which also has three houses in the kit. I stamped the houses on a piece of paper and scanned it into my computer so I could weld a shadow layer to the middle cut piece in eCals. Then I stamped right on to that piece instead of having to cut around the houses, much easier, plus it's nice to layout your design. 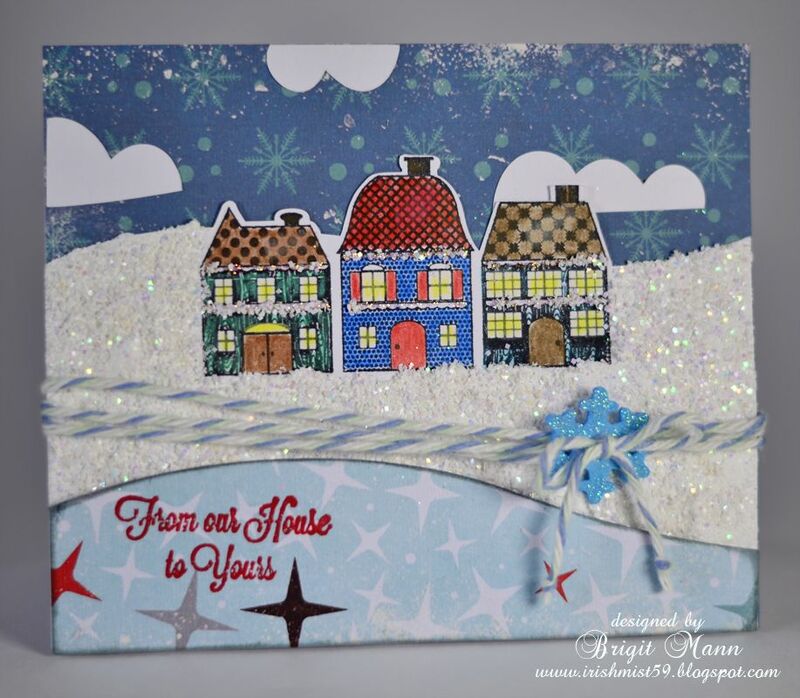 I used textured snow and poured chucky glitter over the middle piece and added some stickles on the houses. The stamped sentiment is also from the stamp set. The digital paper is Echo Park Wintertime.